Ok, so I’ve been a fan of X-Men for a while. I’ve seen all of the movies and watched the cartoon when I was younger, although, admittedly I don’t remember much from the cartoon at all. I do remember Rogue being one of my favorites both from the cartoon as well as the movies. When I saw there was a book about Rogue, I requested it so fast my head would have spun if it could. So did this book live up to my expectations of what I thought a book about Rogue should have been?? Ahh… I have no idea. Lol I’m still trying to sort out this book in my head and honestly I’m not sure what I expected. Going into this book I really didn’t know much of Rogues beginnings other than what I saw from the X-Men movies which we all know that Hollywood takes dramatic licensing so I took that with a grain of salt. 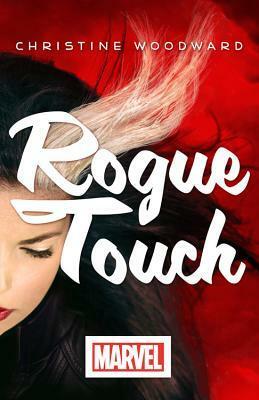 So in this book we are taken back to when Anna Marie is just 18, and hasn’t been renamed Rogue yet. She is on the run after she accidently put her childhood friend in a coma. This is the only part of the story that is even remotely close to the Rogue story I knew. She is now in another part of Mississippi just trying to make ends meet and not touch anyone. Everything goes bad when one day she is walking to the bakery where she works and sees what she thinks is a creeper. The next series of events keeps bringing James (The creeper and Anna Marie) together and when her former boss touches her and ends up in a coma James and Anna Marie go on the run. From here it all gets kind of strange. James also known as Touch is also on the run from people who want to use his gifts for evil reasons. It then comes to light that Touch is from another planet and is being tracked through the technology that he uses. So Touch is being hunted by his alien foes and Anna Marie is being hunted by the cops, so they decide to stick together and pool resources. They head west, as they have several close calls with both “aliens” and cops they get closer and closer to each other emotionally. The budding romance, I can buy for the most part. Extreme circumstances can bring about extreme emotion. It’s the rest that is just kind of out there. Rogue and Touch have to be the worst criminals ever. Never once do they consider cameras when they are stealing things they need to survive or leaving any other sort of trail. No wonder they keep catching trouble. Anytime you turn there is something else going wrong. Though Anna Marie absorbing some powers was kind of cool and Touch’s technology was cool until it randomly stops working. Then all of the sudden Touch isn’t from another planet anymore but is something else entirely. I have to say it again, it was just all kind of strange. But not strange in a bad way, just huh? Did that really just happen, strange? 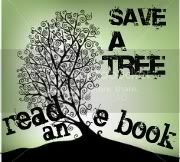 I have to admit I was engaged from beginning to end nor was I bored so this book fulfilled its purpose in that respect. There were plenty of twist and turns throughout the book. It was also well written with plenty to keep you from getting bored. However, there was no mention of any other x-men characters in this book so if you are looking for that you may be disappointed and there is no HEA at the end for the romance lovers. Overall, I don’t know what I was expecting with this book, but it definitely was not this. It wasn’t bad by any means, I did enjoy the story. It is just hard to throw away any preconceived notions you may have had before and while reading this book. I think this is going to be a challenge with this book for x-men fans that pick up this book. It’s just one of those hurdles an author has to get through when you write about an already well known character.